Outsourcing tasks to a virtual assistant, or VA, has been around for decades, and has become a reliable strategy to increase the productivity of a business. These days, different types of industries have discovered the worth of virtual assistants to maximize their efficiency. Outsourcing in the real estate industry, for example, has become a valuable tool for securing leads and keeping clients happy. While many internet-savvy real estate professionals know what a Virtual Assistant is or what do they do, I know a lot of folks who are just starting to ride the interwebs hype train. This section is for them. Virtual assistants help businesses in different types of industries by lifting a massive amount of workload involved in running a business. You can have them do various tasks, like managing your social media, handle your accounting, answer emails, and many more. Additionally, more often than not, virtual assistants live in different parts of the world. You can use this to your advantage and have them work on some tasks while you sleep, basically turning your business into a 24/7 operation! However, you can also have them work on your time zone and be on your beck and call at any time of the day. As a real estate professional, what are the things that you can have a real estate virtual assistant do? For a real estate business, it is vital to have someone reliable to handle clerical work, manage clients, and organize schedules. Just like any actual, physical assistant, a virtual assistant can do just about anything they do — probably even more, including the tasks below. Research is one of the most important tasks in the real estate industry and it must be done on a regular basis. It is, however, rather time-consuming. You could be preparing for a client meeting, but instead, you still have to analyze numerous information like rate of migration, lending rates, developments, and other real estate fundamentals. Luckily, having the right VA can lessen the hours of reading nauseating information and just give you a report about whatever research points that you actually need. Imagine having to type or update all the names, addresses, emails, status reports, and other vital information about your clients. This may seem like a meager task, but it can also take a lot of your time. With a VA at your disposal, you can simply outsource this tedious yet very much important task and have it ready and organized in a spreadsheet. Keeping track of income and expenses is valuable in running a business. Otherwise, it will be difficult to evaluate your current financial performance, which can prevent the business from growing. While some real estate agents prefer to do their accounting themselves, basic bookkeeping is yet another task that a virtual assistant can lift off your shoulders. With a VA’s help, you can have instant access to all the important details regarding your financial status. Spreadsheets and real estate are pretty much an inseparable couple. Who can you blame? Spreadsheets are the easiest way to organize numbers and other important data. However, like most of the tasks of a real estate agent, spreadsheets take a chunk of time before one can finish doing it. Fortunately, spreadsheet creation and management is a skill that almost, if not all, virtual assistants possess. Cold calling requires some skill in speaking, but it is also quite boring. 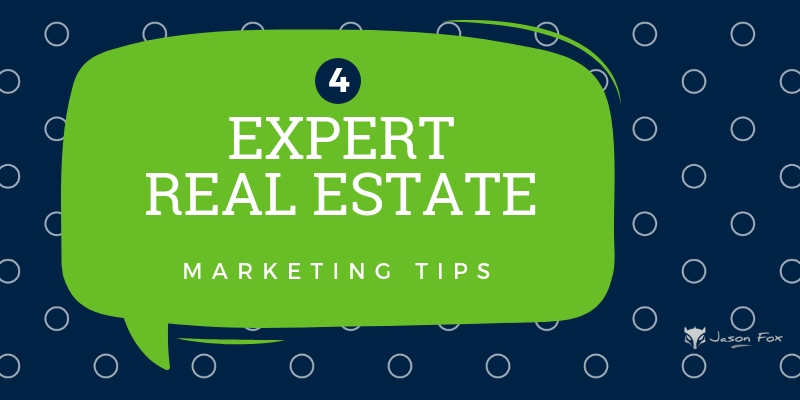 However infamous, it is still used as one of the marketing strategies to help gain more prospective clients that may want to purchase a property. You can give a list of numbers to call to your VA and have this task removed from your plate. Whether physical or digital contracts, every person in the real estate industry knows that it is the most vital piece that can make or break a sale. Additionally, one of your clients may lose their copy and ask you for another. Hence, the last thing you need is losing a contract or forgetting where you saved it — something that can be avoided when you have a VA work for you. Setting your appointments yourself is not difficult. It can, however, get confusing when you have to think about other equally important things. Moreover, you’ll never know when client meeting requests would come banging on the door, so having an organized appointment schedule is also vital. Now, since this is an easy task, you can expect a virtual assistant to handle setting and organizing appointments for you. With their help, you don’t have to worry about confusing one meeting after another (or even think about your schedule for the month – see #8) Plus, being on time for each of your meetings can help you get more referrals. Apart from client appointments, you will still have other things that you need to squeeze in to your schedule. Your job isn’t the only thing that you have to deal with. Can you make it to your dentist appointment at nine? Or do you have to go to a friend’s house for a going away party? Being in the real estate industry by itself already means running on a tight schedule, what more if you add other things in your life? Hence, having a VA manage your calendar will not only help your punctuality with your clients, but also help you have time for the other aspects of your life. Taking the time to sit down and write a decent email can take an hour, depending on what you have to write about. Moreover, you may also have to attach some documents that you need to send to your client, so you’ll also have to look for the files before you can send it. Good thing is, above average English speaking and writing skills are one of the top qualities that a VA must have. Therefore, it should be easy to come across one that can write an engaging, grammatically correct, and in-depth email. Just make sure that you tell them what the email needs to contain and you’re all set! Another relevant online technology that can help a real estate business keep up with the digital age is online marketing. You may have heard of it, or you may already have it running, so you most likely know that it needs a lot of time and effort. This, of course, is another task that a VA can handle. 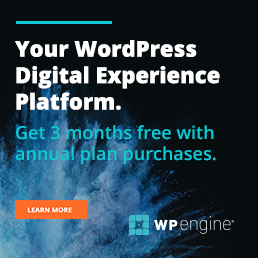 Your virtual assistant can help you manage your social media and website content, write and/or upload blogs and articles, manage newsletters, manage online ads, and more. Removing these tasks from your table can speed things up for your business since running an online marketing campaign isn’t an easy task. Hence, you can set up your VA for some training, or you can look for someone with at least some knowledge about online marketing. Managing a website is one of the most daunting things that a real estate agent or company must do, not to mention time-consuming. Without proper management, your website could be at risk of being hacked, bugged, and broken. Therefore, having a virtual assistant with some background in web development can help ease your mind from this technical task. If you don’t have a real estate business website yet, it’s about time that you do. Thankfully, you can hire a custom real estate website creator to that for you, too. With their help, you can improve your online presence and have more customers flowing in. Having good customer relationship can advance your real estate business to the next level. Simple things like remembering a birthday or congratulating a client on their one year anniversary of living in a property can increase your chance of having a referral. It may be difficult to remember all of these things, especially if you have more clients that you can deal with. However, having a VA can help you improve client relations by utilizing your CRM tool, or remind you of important events that you can greet your clients with when you meet them. Prospecting involves opening your doors to more sales opportunities and scouring every nook and corner to find more potential clients, be it a buyer or a seller. Although quite essential to boost your sales, this can take a huge amount of time. But if you have a virtual assistant working for you, you will only have to think about meeting clients and closing deals, while they look for more. Have you ever read a grammatically incorrect email? Doesn’t it just bug you, and make you not want to read more? Don’t worry, some of your clients wouldn’t really care if you have some grammar lapses on your website or email. However, if you want to sound professional through writing, then having perfect grammar is essential. Sometimes, even expert writers will have a few mistakes here and there, so do not be too hard on yourself. You can rely on your VA to help you by giving an outsider’s perspective and proofread your emails before you send it to a client, or post content on your website. There are about 577 million Spanish speakers in the US. Meanwhile, Australia is experiencing an increase in immigrants from China, Singapore, and Hong Kong. Hence, having a virtual translator can expand the types of clients you can deal with, and ultimately increase your chance of getting more clients. This will also allow you to take advantage of the growing number of immigrants looking for a place in your area. Being a real estate agent, investor, or broker is already a challenging job as it is. So why not hand over some of the work to a virtual assistant? With the tasks that you can outsource to a VA, you can rest assured that your business will run smoothly while you focus on becoming the best in the real estate industry. Claire Ardent is Outsource Accelerator’s resident Content Manager and Outreach Specialist. She has more than 5 years of digital marketing experience, and have worked with businesses in various industries, including Real Estate. She loves cats and skin-on fries. Your blog is really a well-explained piece of information about VA services. Working with a virtual assistant can completely change the way that you – and your business – operate. It can help you to save money, it can help you to save time – and best of all, it can help you to outsource specialized work to people who have a wealth of experience so that your business benefits.